The real life story about a kid from Kansas who worked with some of Rock and Rolls most iconic figures and took part in some of Rock Music's most enduring and notorius myths, legends, and rumors. "For the first time ever, the truth revealed from the insider who was there." 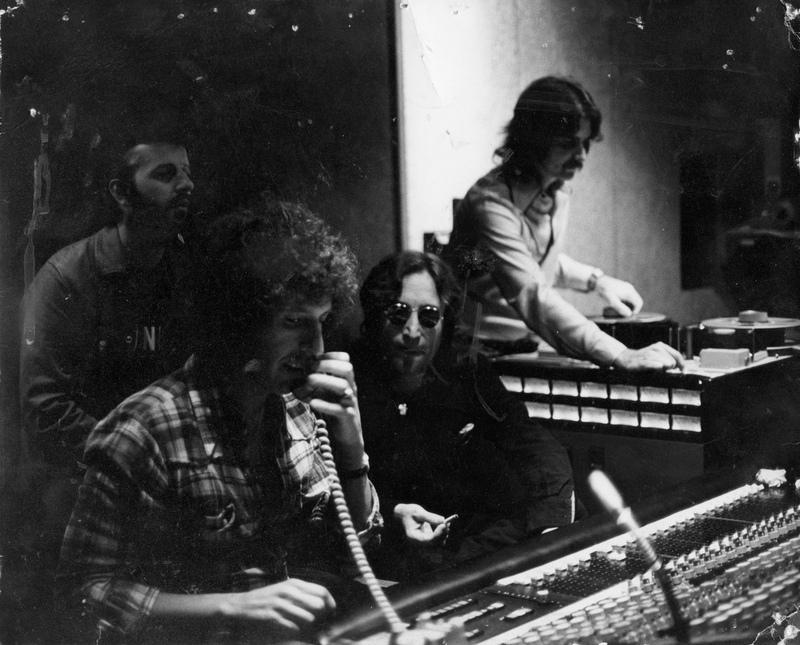 John Lennon at Sunset Sound Studios 1974 with Ringo Starr in the back, Richard Perry left, and Galen Senogles right. As a member of the Jerms touring the Midwest with the Yardbirds, Steppenwolf, Jefferson Airplane, and others. The true to life exploits, trials and tribulations of a touring rock and roll band in 60s era United States. The truth about Pink Floyd's The Wall, the atmosphere surrounding Fleetwood Mac's Rumours, and for once setting the record straight on Stevie Nicks, John Lennon, Ringo Starr, Tom Petty, Steely Dan and other Rock Superstars. Go on a world tour with The Crusaders and "Street Life", look into the world of Billy Preston's " On The Air". Explore the life of the Debarge family El, James, Chico, Bunny along with stories of Snoop Dog and Michael Jackson. Learn why the music business ain't like the music business used to be.